You can buy membership in-game with FE gift cash! 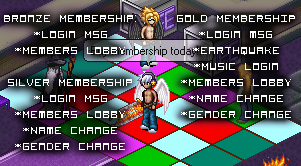 This will add membership to your Fallen Evolution Account immediatly after purchasing. It will also expire at the end of each month(Next month from now). No Refunds, We are not responsible if you do not get your parents permission before purchasing.